Writing this blog sometimes makes me want to laugh and cry at the same time. I regularly encounter extraordinary material embedded within which are complex and sometimes alarming ethical issues. Some months ago, I came across the story (written in 2011) of a “pavement dentist” selling dentures in a large city in South Africa. Apparently, this dentist procures his wares from mortuaries and funeral parlours. If you need a new pair of teeth, you simply test the fit of pair after pair till you find a set that feels (relatively) comfortable. Of course there is a chance that this is fake news (and please bear this in mind when reading the rest of this post) but it nevertheless opens-up a number of discussion points. I’m all in favour of enterprising people making a living, and this certainly demonstrates entrepreneurial flare – but I also have a few concerns. 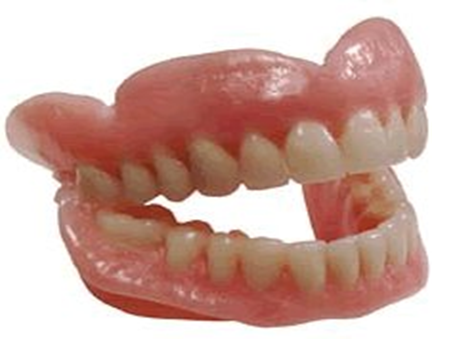 If the article is true, then these dentures are procured from undertakers and morgues around Johannesburg. This is a bit of a problem ethically (and probably legally), as it is not for an undertaker or mortician to decide on the fate of human remains in South Africa. This is, in fact, the ambit of the family of a deceased person. I wonder if families are aware of the fate of their loved-ones false teeth? I’m also a bit worried about infection control. Although the risk is likely tiny, saliva is a vector for some viruses and bacteria including cytomegalovirus, epstein-barr virus, Coxsackie virus, herpes simplex virus type 1 and streptococcal bacteria. Are the dentures sterilised each time they are ‘tried-in’ by a different person? I understand that dentures are very expensive. And what amazes me about the pavement dentist is that it reflects the lengths to which people may be compelled to go in order to access healthcare which, for all practical intents and purposes, should be a basic human right in SA. [i] It’s a tale fraught with risk, where people who have been let-down by the system then have little choice but to take on perils like infection in order to have a set of teeth. Furthermore, poorly fitting dentures can have adverse effects, and cause problems like sores, pain and burning. They can even cause abdominal gas from swallowing air. It’s also a tale of people who may be compelled to do something illegal to eek out a living (and sadly that’s the story for many who live in our country and in the world). This is a commentary. I have no solutions to offer. Indeed when I think about this aspect of access to basic healthcare in South Africa I often find myself stuck in a quagmire of mismanagement, corruption and dishonesty. It leaves me with a sense of overwhelming sadness. [i] This is open to debate though, as dentures may not fit into Constitutional stipulations of healthcare provision within available resources. But given the alternatives may be yet more expensive (see dental implants) dentures are a good compromise. Furthermore, education about dental hygiene and prevention of oral disease should be emphasised more strongly in a public-health framework. Of course – this presumes that people can afford a toothbrush and paste – which I suspect many can’t. That said. I liked the post, and it made me think. Mainly what I think is: so what, these people are responding to a need which is not being met elsewhere. We cannot spend all our lives waiting for the government to recognise our case, and legislate for alleviation for us and all other people like us. Let free enterprise provide for the needs: and, maybe, it shows government where the greatest need is. > these dentures are procured from undertakers and morgues around > Johannesburg. This is a bit of a problem ethically (and probably > legally), as it is not for an undertaker or mortician to decide on the > fate of human remains in South Africa. This is, in fact, the ambit of > the family of a deceased person. I wonder if families are aware of > the fate of their loved-ones false teeth? Are dentures human remains? And how many instances are there of the family of a deceased person directing what should happen to that person’s dentures? Is this ever regarded as important?